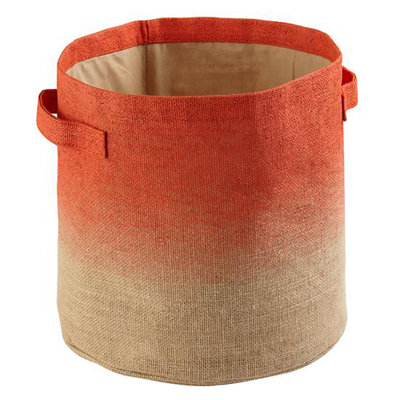 Add some color to your cleanup with this Orange Dip Top Bin. Spacious, functional and a sure-fire way to brighten any room, these bins feature an exclusive dip-dye style. Plus, you can fold them for easy storage. $12.95. Buy here.